Sweet, silky smooth and subtly fruity, this Olive Oil ice cream will turn out to be an unexpectedly delightful experience for you. Contrary to perception, you won’t even taste a bit of oily flavour. 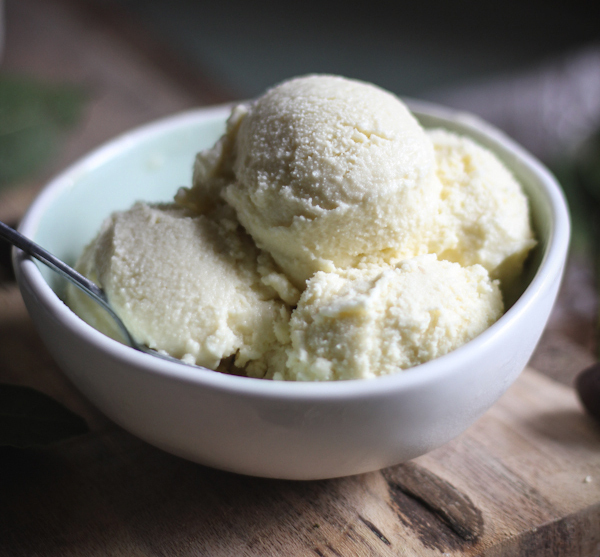 Try out this simple recipe and make unique olive oil ice cream at home. Place a medium sized thick-bottomed saucepan over low heat and pour in the milk. Add sugar, cream and honey to it. Stir and let the mixture heat up nicely but make sure it doesn’t start boiling. Remove the saucepan from the heat. Beat the eggs in a bowl and drizzle 2 cups of the milk mixture into them. Whisk constantly while adding the milk mixture. Once the milk mixture have been completely mixed with the eggs, pour the final mixture back to the saucepan while continuously whisking. Now place the saucepan back on low heat and keep whisking the mixture for 5 – 10 minutes or till it becomes thick. Remove the saucepan from heat and add the olive oil and vanilla extract to the mixture. Stir until everything is fully combined. Allow it to cool to room temperature and then refrigerate it for 4 hours or overnight. Next morning, or when you want to make the ice cream, prepare your ice cream machine. Remove the ice cream mixture from the fridge; the olive oil might have separated from the rest of the mixture, this is fine. Just whisk the mixture nicely before pouring it into your ice cream maker and then allow the maker to churn as per instructions or until the mixture begins to freeze up and starts to thicken. Empty the ice cream into a freeze safe container. Seal it and place it in the freezer for 4 hours before serving. Tip: You can also make the ice cream without an ice cream maker. For that when you remove the ice cream from the freezer in the morning, churn it with a fork to combine the oil with the ice cream and break any ice crystals. Then you’ll have to alternatively freeze the ice cream over again and churn with fork to break ice crystals until the ice cream freezes completely. This could take up-to 6 hours.